Wherever you are, and whatever time of day it is, If you have a problem with your sewage system, Lanes for Drains is here to help. We’re one the leading wastewater drainage companies in the UK, with decades of drainage expertise. Our team can help you with inspections, repairs, renovations and even, complete replacements of your sewer system. Contact us 24 hours a day, 7 days a week on 0800 526 488 or use our online enquiry form. With a nationwide network of depots, Lanes for Drains is never too far away to respond to a drainage emergency. We’re here 24/7 to leap into action at the first sign of a drainage emergency! Our teams provide sewer repair and replacement services, but also have expertise with liquid bulk waste, cleaning, and drainage consultancy services. With 2,200 staff on our books in the UK and Ireland, and a turnover of in excess of £200 million, Lanes for Drains is the largest independent drainage company in the UK. Elements of our drainage network date back to the Victorian era, as such, our drainage system is prone to blockages and breakages because of the challenges of modern day society. 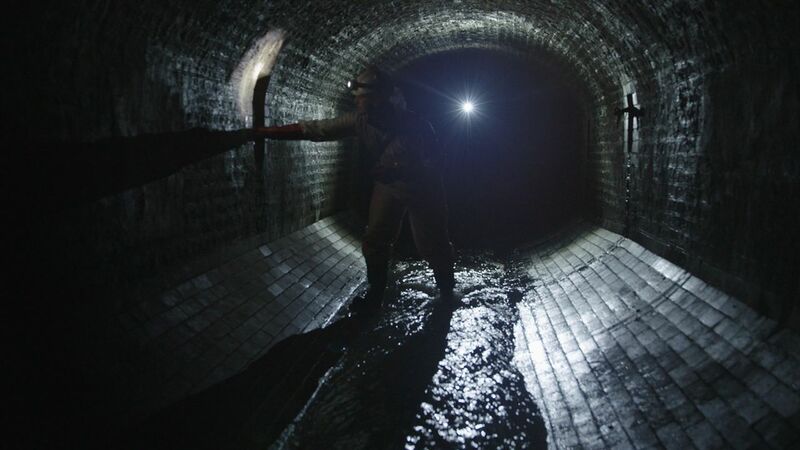 Sewer problems can take many forms – but it is the sinister fatberg that has become the face of our fragile sewer network. Fatbergs, humungous blobs of congealed fat, wet-wipes and condoms; plague major cities across the globe. One notable case is the 2017 Whitechapel fatberg in which we, and a major utilities company, excavated 130 tonnes of the mass with some of our most sophisticated equipment and techniques. At Lanes for Drains, we use some of the latest techniques and methods to repair sewer systems. CCTV surveys – before we even tackle troublesome drainage problems, we carry out a CCTV survey of the area to find out what the problem is. This process involves sending a specialised camera underground to assess the problem and the level of damage to the infrastructure. This information will be beamed back to an engineer in the form of HD-quality imagery, which enables our team to pinpoint the problem and identify an appropriate solution. CIPP – one of the most common solutions is Cured in Place Pipe lining (CIPP), which we use when tackling problematic pipes. Because of the way the technique works, CIPP eliminates the need for digging up your street or back garden, minimising disruption. Instead, a small hole is made in the ground and CIPP is threaded through your damaged pipe. A resin binds the pipe in place and is dried using ultra violet (UV) technology, heated water, or ambient temperatures depending on the choice of resin. For most of our domestic clients, sewer maintenance is the responsibility of utilities providers. Companies like this manage much of the sewer network, so, if there is an issue with your sewage system, it may be up to them to instigate repairs. One phone call and a short visit from our engineers will clarify the situation – we’ll even help you log the job with your utility provider. Of course, Lanes for Drains tackles drainage problems for people just like you. But we also undertake jobs for commercial, domestic and rail clients . You can read about some of the fascinating projects we’ve helped with by clicking here. We encourage our local depots to participate in the wider community, and organise fundraising and charitable endeavours and raise awareness of important topics that can affect the UK public. Recently, Lanes has taken an active role in the fight against fatbergs and educating the nation about the importance of healthy drains and sewers – starting with the UK’s children. Working with schools across the country, we launched the Fatberg Fighters campaign, an initiative geared towards teaching children dangers of blocking drains and sewers, in an effort to prevent fatbergs forming. Don’t delay – get your drainage issue resolved as soon as possible by speaking to Lanes for Drains, the drainage specialist on 0800 526 488. With depots across the length of the UK, we are here to help you 24/7. Alternatively, use our online enquiry form and we will arrange a callback. Need help? In just three steps you’ll have an answer to your question, or an engineer en route.